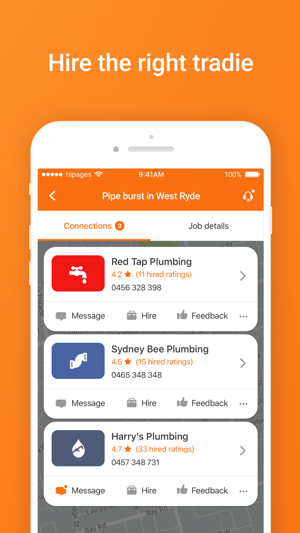 I tried these guys as a tradie and the quality of the leads was horrible however the staff were very well trained in milking every dollar out of you and told me I should pay more to get better leads which I did. Better leads did not eventuate so after more than 12 months I decided to cut my losses but they took another months payment and refused to refund it, what could I do not worth the effort chasing it. This is where I thought it would end but I was sadly mistaken, their useless leads kept coming to me in text and emails so I called and emailed 'them asking for this to stop which they promised it would, fast forward 18 months and they are still coming through, I have been on the phone twice today and have been promised I'm now off the system yet the messages keep on coming!! Thank you for reaching out and we're sorry to hear of your recent experience. 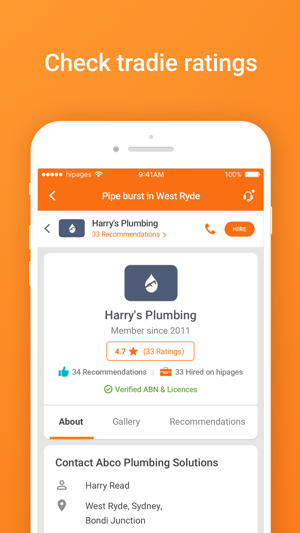 As this review is related to our business app for tradies, not consumers we have shared this feedback with our Trade Services team. If this is still an ongoing issue, please email your details to support@hipages.com.au and we will have someone look into this ASAP for you. 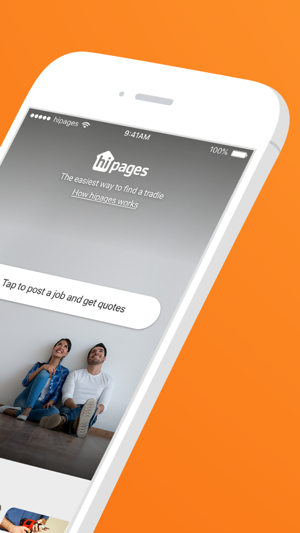 Cheers, hipages team. There should be more apps like this! I am a busy mom of a 1 year old so when something goes wrong I have no time to do the research or call many different companies for the fix. 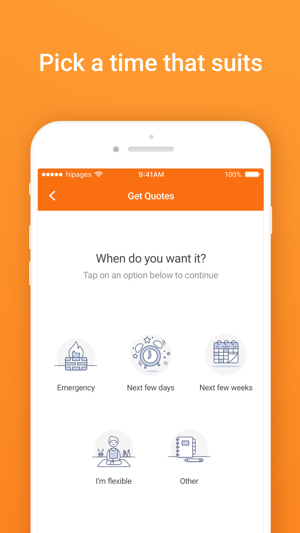 Yesterday I had a roof leak, downloaded the app, completed request in 1 minute and within 10 minutes got contacted by 3 companies offering their quotes and services. Got the best one, the leak was fixed within half an hour! There is also a payment option - just scan your card and it's also taken care of!!! Just amazing! Thank you 😁😁😁👍👍👍 i will recommend this service to everybody! Thank you for taking the time to give feedback on our app. 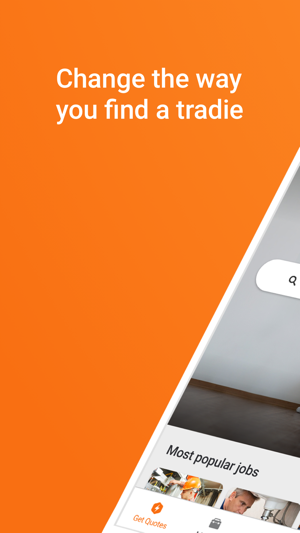 We understand finding a professional and reliable tradie can be stressful so it's great to hear that we've made the whole process fast and easy for you. 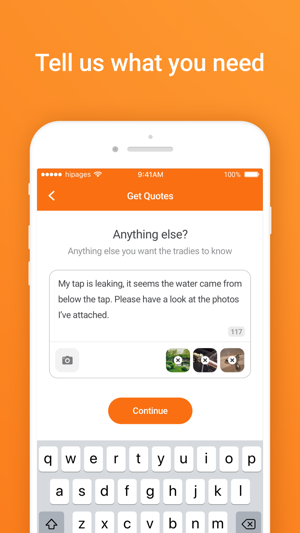 Great to also hear it helped you connect with the best tradie to fix your roof leak. 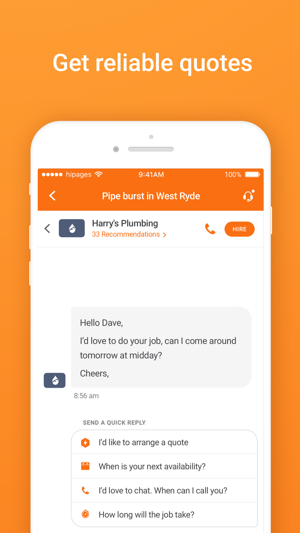 If you haven’t done it yet, leaving a recommendation for this company would be useful for our users to learn about your positive experience. Inappropriate Referrals and zero tradies! Waste of time. The app itself seems to work without issues, I haven’t had any trouble using it. I do have a bit of feedback for the developers: please take a look at the system generated referrals? 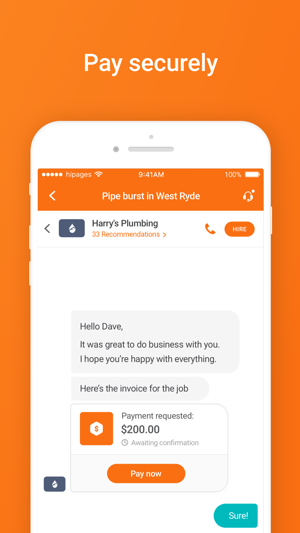 Are you able to refine these so I get businesses that do service my local area? I received a message referring me to three businesses, and I looked at all three. After reading through the info for all three, I realised that none of these tradies service my area. When I asked why I was sent these, the Hipages staff told me these were system generated referrals. This is disappointing - I’m using this app/service to save time and ended up being sent on a wild goose chase ☹️. In my case, these referrals were genuinely absurd. And there was not one single quote on the job I posted.